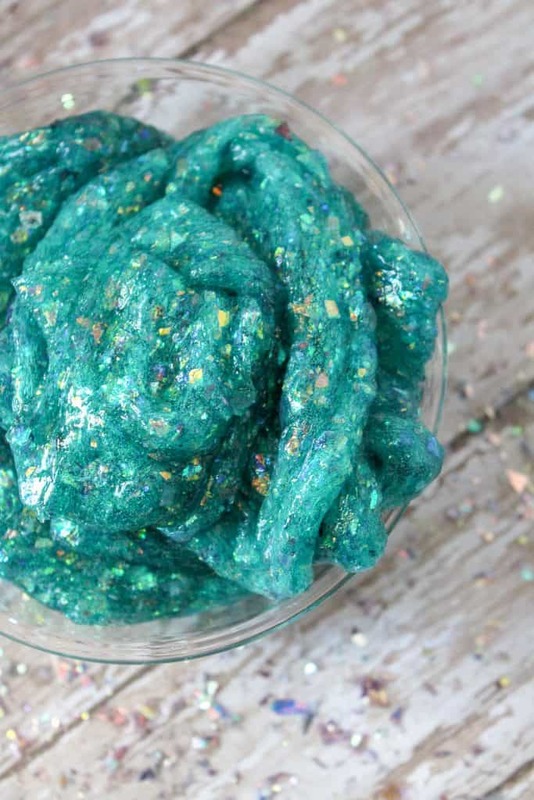 If you are looking for a fun mermaid slime recipe you’ll love this easy slime recipe because not only does it have beautiful glitter in it, but the color is stunning! There are so many cool slime recipes. 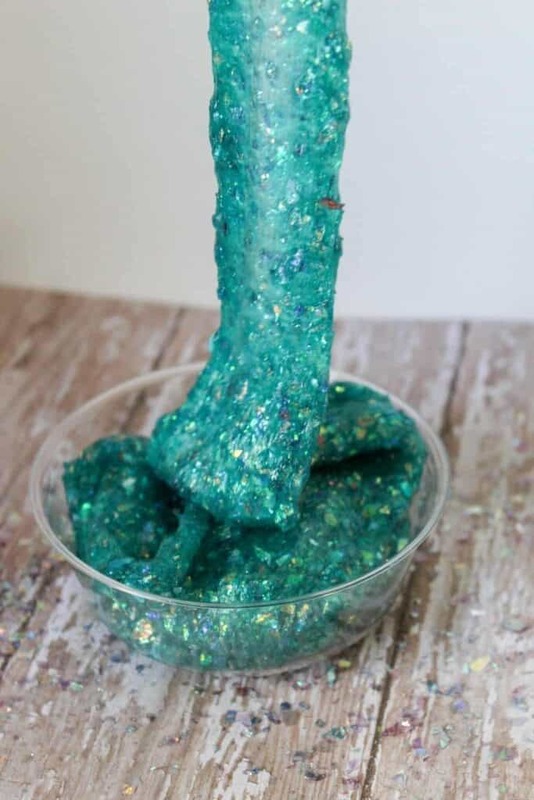 We have birthday slime, elf slime, glitter slime, holiday slime and so many other great slime for kids recipes. I love seeing how create kids get when discovering new kinds of slime. It really is so much fun. 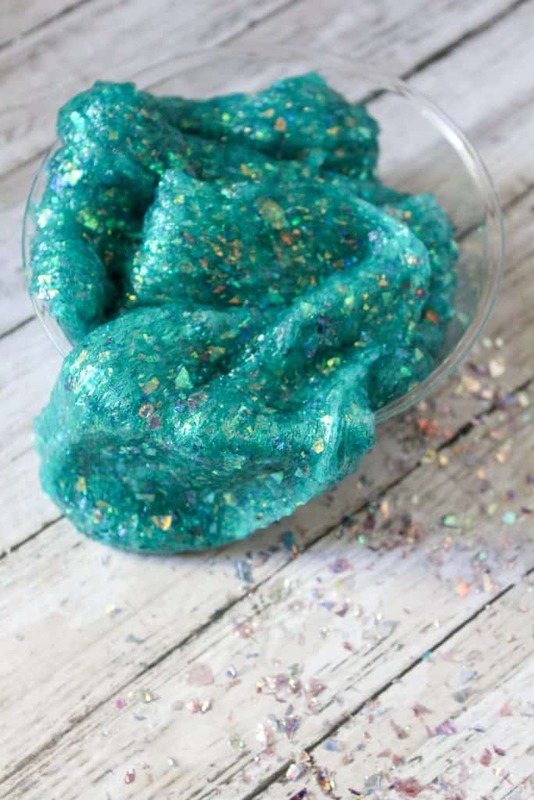 I personally love mermaid glitter slime because it is so pretty! 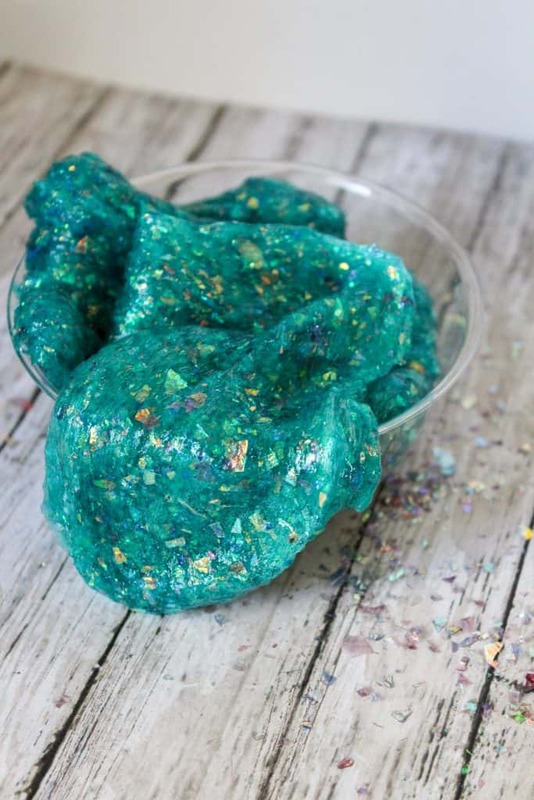 Mermaid slime is perfect for a mermaid birthday party, craft for the Little Mermaid movie or just for fun! 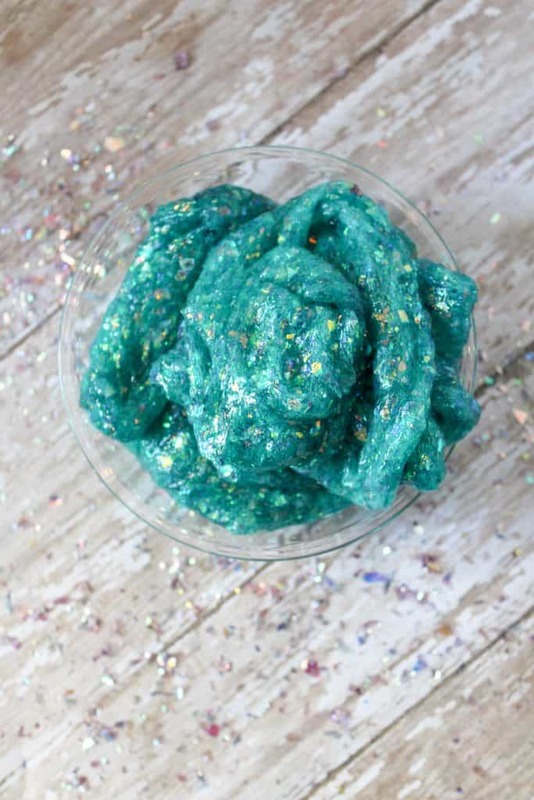 Because who wouldn’t want to play with beautiful glitter slime! Next, add in mermaid glitter.